Quickly becoming a popular tourist destination find out about Cambodia's beautiful beaches, peaceful temples and unspoilt landscapes. Cambodia was once known for its regime of terror under Pol Pot and the Khmer Rouge, but this beautiful country is now becoming a favourite with tourists to South East Asia. Gorgeous beaches, peaceful temples and unspoilt landscapes mean that when you choose to go backpacking in Cambodia then you will be embarking on the adventure of a lifetime. 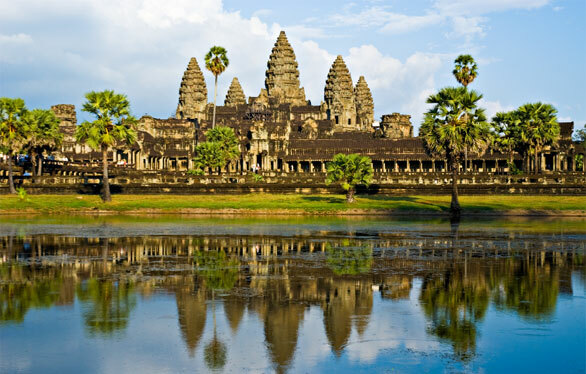 The Temples of Angkor are a must-see destination during your stay. They are beautiful monuments which date back to the 9th century. Situated in Siem Reap, there are over a thousand temples to see, some just ruins and others which have been restored. You will find the most magnificent beaches in Sihanoukville. Some can get a little crowded, so check out Otres Beach for a little more peace and quiet. Tonle Sap Lake is also well worth a visit. This huge lake is a fascinating place, with its floating villages constantly moving around to where the water is at its highest. It is also the natural habitat for a wide range of birds, reptiles and mammals and is home to freshwater fish, turtles, crocodiles and snakes. You can also enjoy some delicious local food during your stay. Rice and noodles are the staples, with black pepper, coconut milk, fish paste and ginger other favoured ingredients. Before you go it is vital that you plan your trip with care. You will need a visa to enter Cambodia, which you can get from Cambodian embassies or consulates or when you arrive at one of the country's two airports. If you're going as a tourist then your visa will last you for 30 days, while a business visa lasts for two months and allows you multiple entries to the country. You will also need to carefully choose the right type of insurance for your trip and it is a good idea to compare a number of quotes when you look for cheaper travel insurance. It is essential that you don't outstay your visa. If you're still in the country when you shouldn't be, you will at the very least receive a substantial fine but you could be sent to an illegal-immigrant holding pen. This won't be a pleasant experience so if you need to stay longer then make sure you extend your visa accordingly. When you travel anywhere, it is always a good idea to know a few words of the local language. 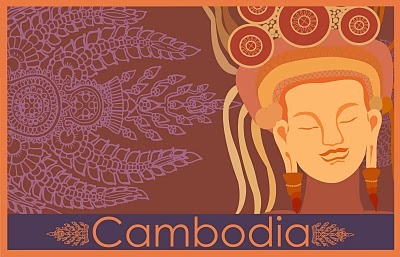 The main language in Cambodia is Khmer, although French is sometimes spoken in the country. However, you will find most people in the major towns and cities speak English and market vendors generally have enough English for you to engage in a transaction. Exploring Cambodia is a life-changing experience and you will create some wonderful memories which will last forever.